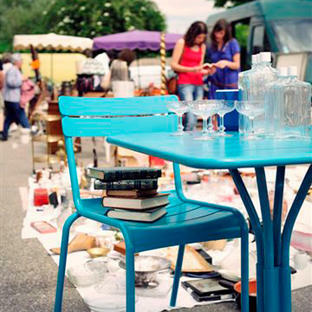 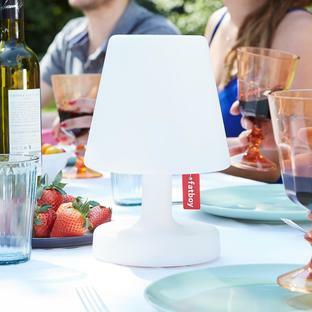 Relax outside in comfort and style. 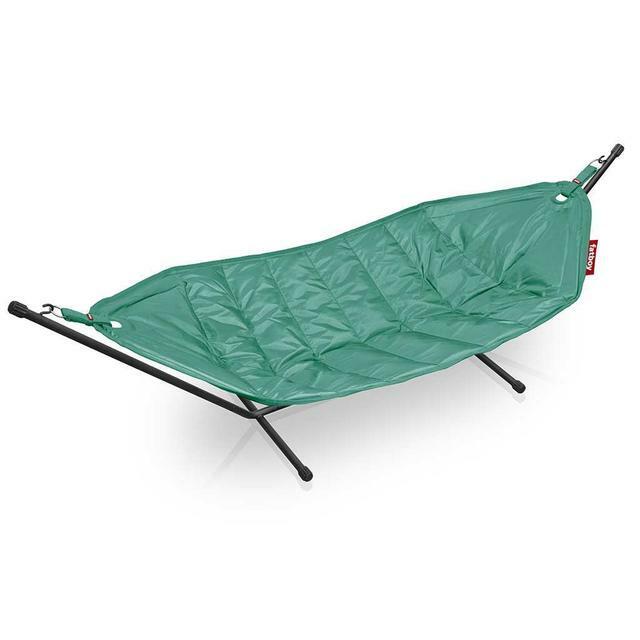 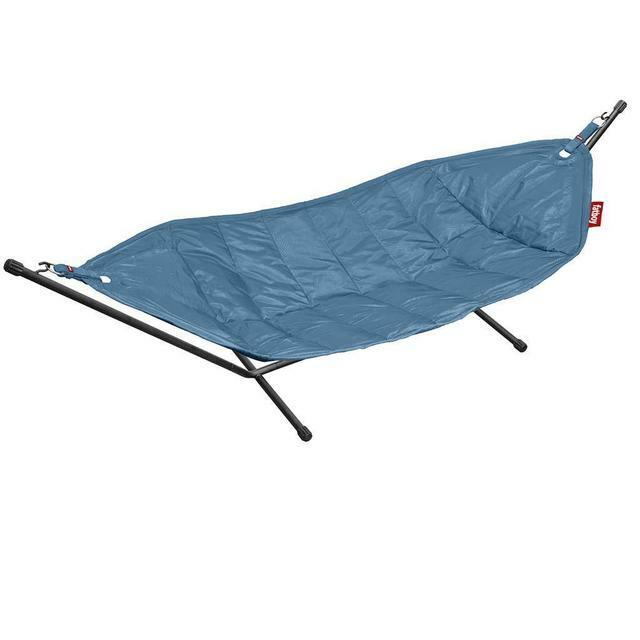 The wonderful, large comfortable Fatboy Headdemock hammocks. 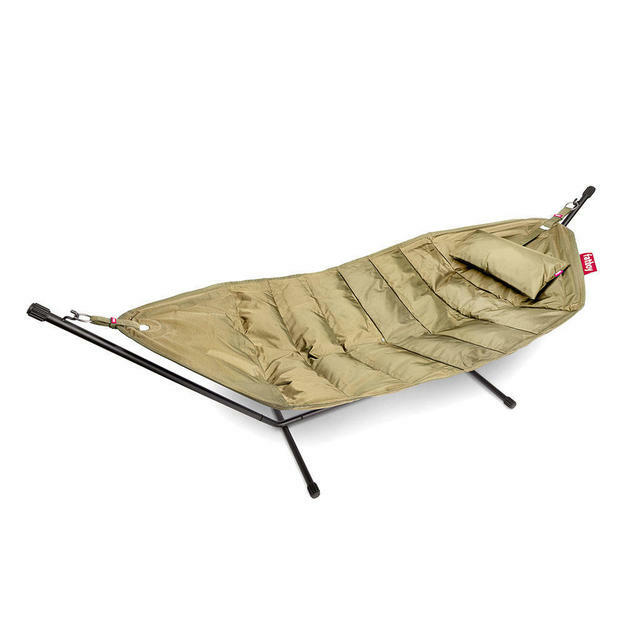 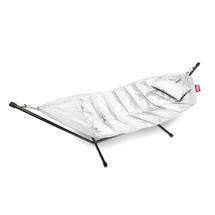 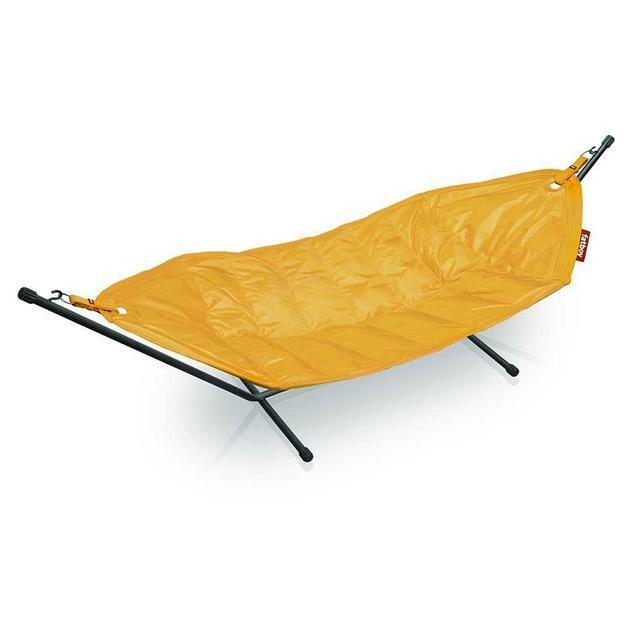 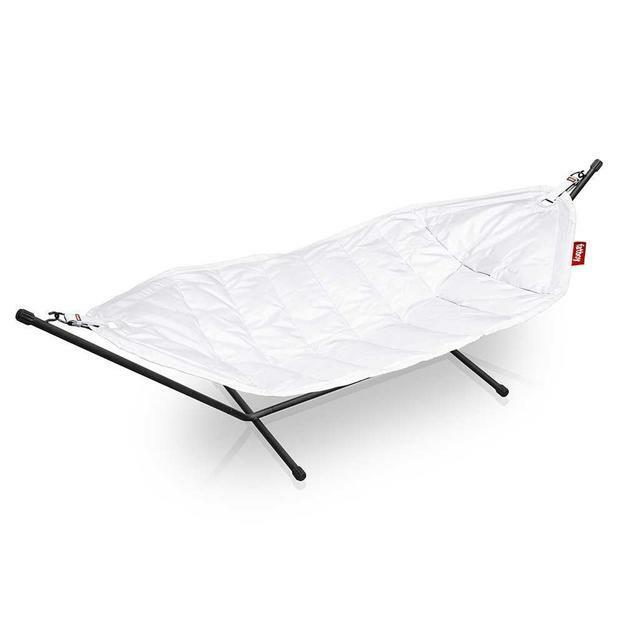 They come complete with a metal powder coated frame and wonderfully comfortable quilted hammock. For extra comfort it is available with or without a pillow. The Headdemock is easy to clip off the frame and bring in when not being used. There is a large bag zipped storage bag to keep the hammock in when not in use and during the winter months. This will keep it clean and reduce maintenance. To clean the Headdemock simply wash with warm water and neutral soap. 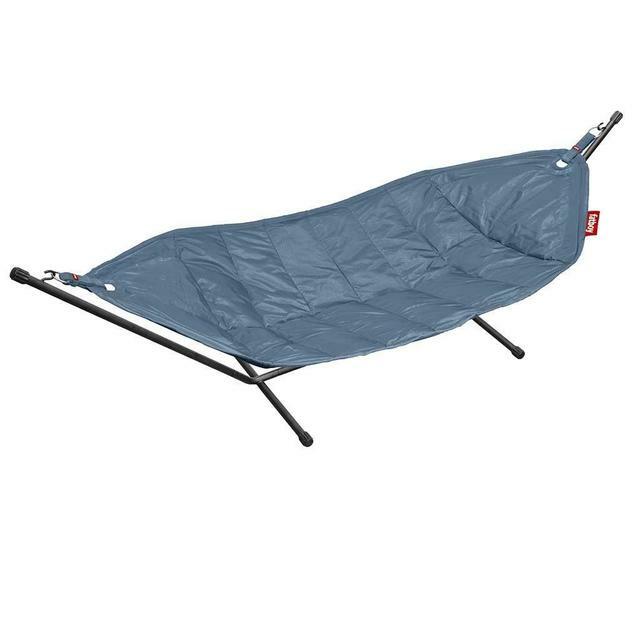 The Hammock is polyester with a 100% polyester filling. 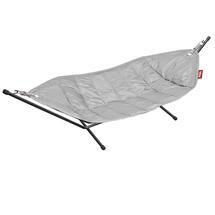 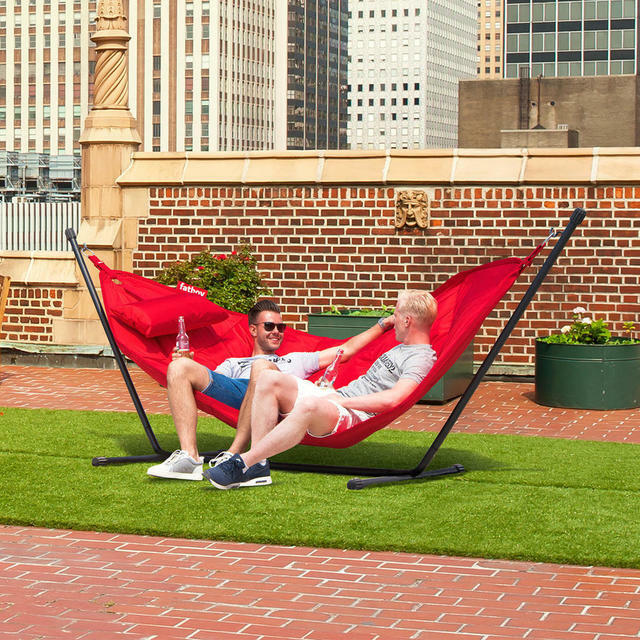 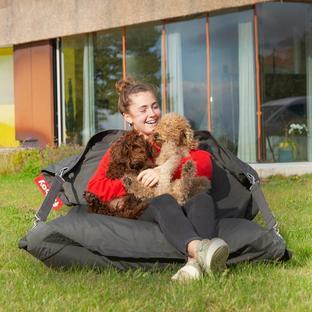 The hammock can hold up to 150kg and is big enough for 2 close friends to snuggle up in. 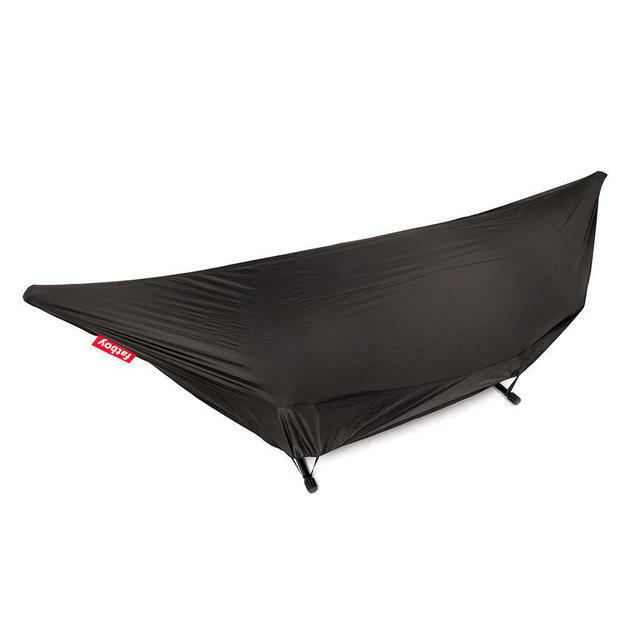 There is a separate black cover which can be ordered separately. This fits completely over the Headdemock to keep it clean and dry when not in use.